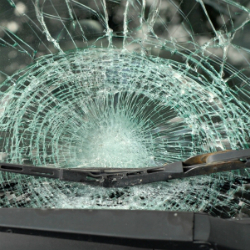 MONTREAL — In three car crashes on Quebec roads during the weekend, including two fatal ones, it seems the victims were not wearing their seat belts as required by law. It’s 2012, so how can that be? Experts note 96 per cent of all drivers now wear their seat belts, yet 30 per cent of the deceased in car crashes were people who were not wearing them. Seat belts are a decades-old, easily accessible protection that some people forget, all too often at their peril. On Sunday around 4 a.m., a 15-year-old male driver — and sole occupant of the car — survived, incredibly, after he was ejected during a crash at Chambly Rd. and St. Laurent St. in Old Longueuil. The Kia Sorento he was driving hit a tree and then crashed into a Marie-Victorin school board building, Longueuil police Capt. Elaine Gagnon said. The teenager had serious head and spine injuries, but was expected to survive, she said, adding the boy was lucky. According to the Sûreté du Québec, nine out of 10 people who are ejected from their vehicles are killed. And wearing seat belts reduces by half the chances of death or serious injury. Gagnon said it’s possible the boy could face charges of violating the Highway Safety Code even though he is too young to have a driver’s licence (16 is the minimum age to have a licence in Quebec). He also might face dangerous driving charges in youth court depending on the investigation, Gagnon added. Police were investigating if speed, alcohol or drugs may have been factors. No other vehicles or people were involved. And, about 9:30 p.m. Saturday, a 55-year-old man died from his injuries when he lost control of his car on Highway 257 in Weedon in the Eastern Townships, about 200 kilometres east of Montreal. The vehicle spun several times, Denis said. “The driver was not wearing a seat belt and was ejected from the vehicle. He was pronounced dead at the hospital,” Denis added. The SQ said it is investigating the possibility that speed, alcohol or drugs might be factors in both of those cases. De Koninck said some technological advances to car design are on the horizon aimed at preventing people who are drunk or on drugs from driving, such as steering wheels capable of detecting sweaty palms and windshields able to perceive bloodshot eyes — and then block the car from starting. Although the technology is surely feasible, De Koninck is not certain it will be a standard part of automotive design any time soon. Under Quebec law, nearly all vehicle occupants in seats equipped with seat belts must wear them. But De Koninck does not believe people are ready psychologically to be forced by the car itself to wear them.